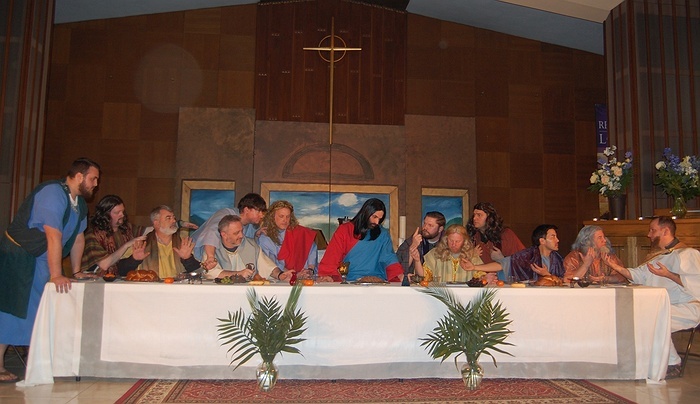 Subject: LongIsland.com - Your Name sent you Event details of "The Living DaVinci"
Leonardo daVinci’s famous painting of “The Last Supper” comes to life at THE LIFE Lutheran Church, as each of Jesus’ twelve apostles enter the scene. We hear the thoughts of each apostle’s life with Jesus. One-by-one each takes his place at the table assuming the spot just as depicted in daVinci’s painting.